Happy Wednesday! I have been living in simple ‘on the go’ beach wear lately and this week’s wants totally reflect that. I have never had a bikini pouch until this year (ie. a small clutch made of scuba material to hold your wet bikini so it doesn’t soak everything else in your tote bag) and now I am obsessed with them! The sunglasses and stripes one above is definitely on my list to get! To all my Canadian readers- HAPPY CANADA DAY! Hope you are celebrating with cold drinks and yummy bbq’d food! I am still in full-on move in mode (this move is taking a lot longer than expected) but luckily I had my parents here until yesterday and now I have my best friend in from Ontario! I’m hoping to finish up the last of the move in type stuff this morning so that I can show her around Vancouver (she’s a first timer!) 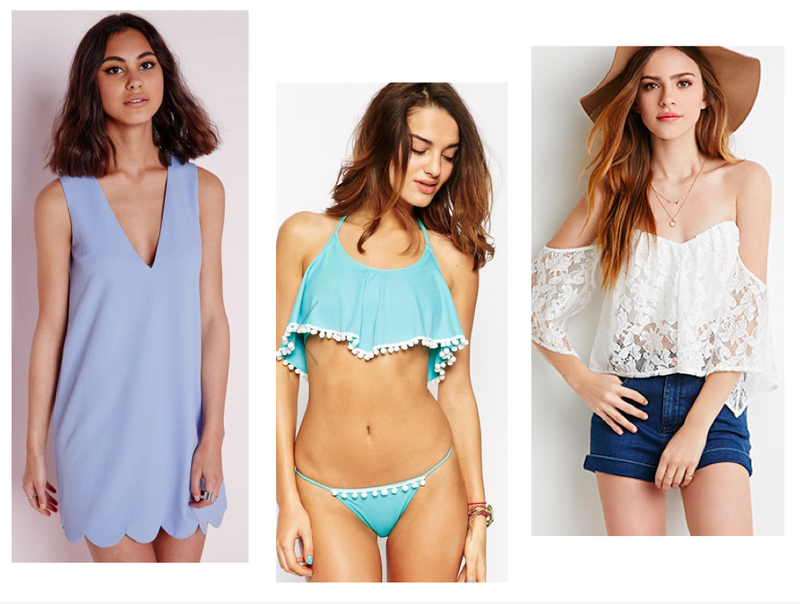 Hitting up the beach is definitely on our list! 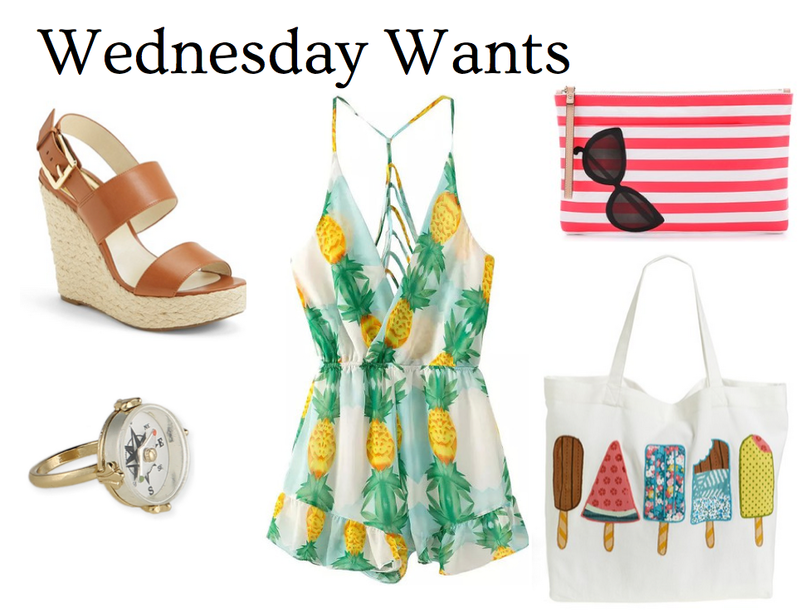 "High Five for Friday #6"
Absolutely in love with that pineapple romper! I've never heard of a bikini pouch before, but its a fab idea! Haha I know, so cute right! And ya isn't it smart?! Just throw it in your beach tote and you can put your damp bikini in it when you're done without worrying about it wrecking anything in your bag! That romper is so fun! !